The Battery Power Supply improves your listening pleasure with the ASR Emitter Exclusive. A clean, stable power supply is one of the key ingredients that contributes to the sound quality and musicality of any power amplifier. The BPS increases the soundstage width and depth and allows each performer to exist in his or her own space. Small, intricate, details textures and inner details become more apparent as does the micro-dynamics. The music has a more live and homogeneous feel to it. Please note that the connectivity for the Battery Power Supply is provided standard with ASR Exclusive Series amplifiers so it it a plug and play system. 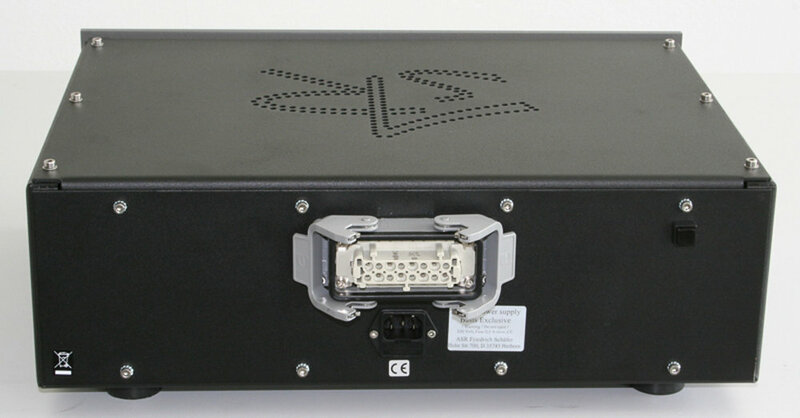 The standard ASR Emitter amplifiers are not supplied with the cabling and need to be upgraded to connect the Battery Power Supply. When the Emitter is switched OFF, the batteries are charged with a low current. In Standby mode the batteries are charged and the input stage is supplied with a low voltage to keep the circuits warm. This ensures excellent sound quality immediately after switching ON the Emitter. After switching ON, the amplifier is supplied from of the batteries. The charging transformer is disconnected with a relay from the power. The voltage of the batteries is constantly monitored during operation. When the batteries are empty, the charging transformer is switched ON again. The Emitter is supplied from the charging unit so you can continue listen to music. When the batteries are fully charged the charging transformer is disconnected from the power and the Emitter is supplied again from the batteries. Capacity of the 6 x 6V/12Ah batteries is sufficient for more than 100 hours of continuous operation. Charging circuit is controlled digitally with EMF free optical logic. Voltage from the batteries of +/-18 Volts is buffered with capacitors of 400.000uF. Charging level of the batteriesis shown by 10 LEDs in a bar graph display. 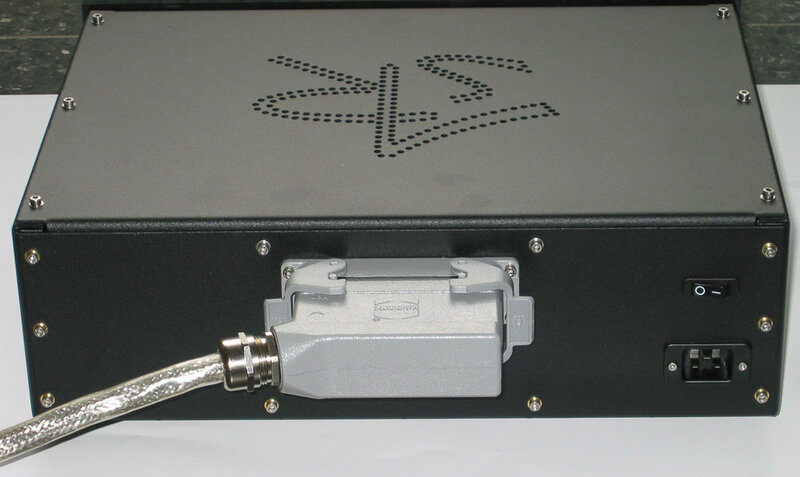 The ASR battery power supply is connected to the amplifier's input stage with a separate cable to the main cable that powers the output stage. Battery Power Supply: 46 x 32 x 16 cm, Weight 26 kg. Options: Engraved lettering in Silver or Gold. Pricing: ASR products qualify for Parity Pricing. This means you pay the same price as in Europe inclusive of GST and local warranty.